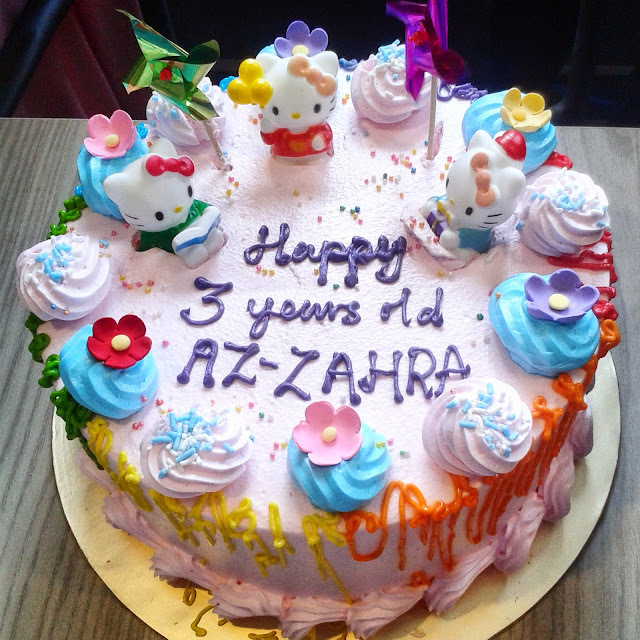 Az-Zahra has turns 3 years old on 4th May 2015... Unfortunately for her, this year she didn't had any big celebration for her birthday...awww.. Bonda felt bad for you... but I still celebrate her birthday with a small celebration with at Bonda hometown. 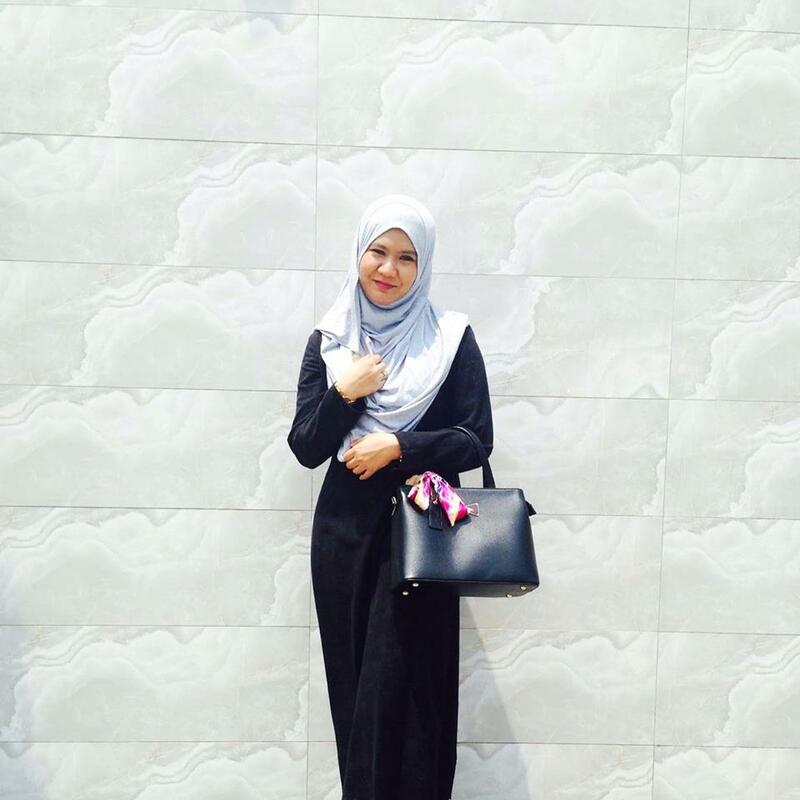 Happy Birthday to my first child, my first daughter, my first love, I love you from the day that I know you were existed in my womb, I love you my daughter...Eventhough you are quite annoying lately, but you still the love of my life...Bonda love you... Hope you will grown up as a good Muslimah, obey your Bonda and Abi, love your brother Fateh, be wisely, and be successful in everything you do in your life! This year birthday also not be made by me...hahaha..why am I so lazy? 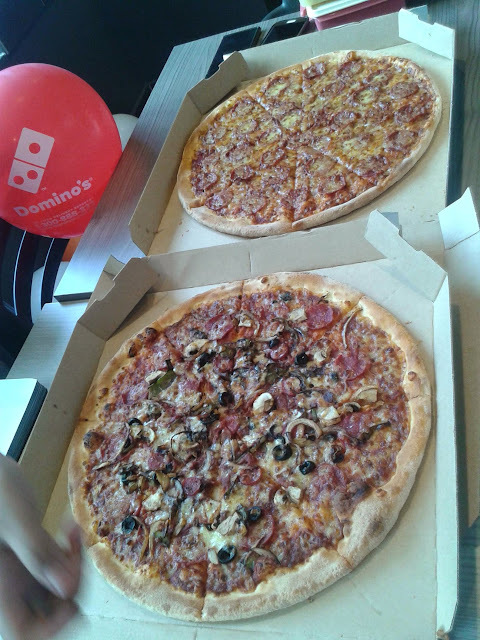 But I promise to make a birthday cake for my handsome boy this year..
We decided to celebrate Zahra at Domino's Pizza Bentong because it is beside my mother boutique... Mak refuse to close the shop so it is easy for her when the venue is close to her shop...hurmmmm..mak mak..
to Zahra next week we will when to a Disney Princess Party, hope that repay back...LOL! 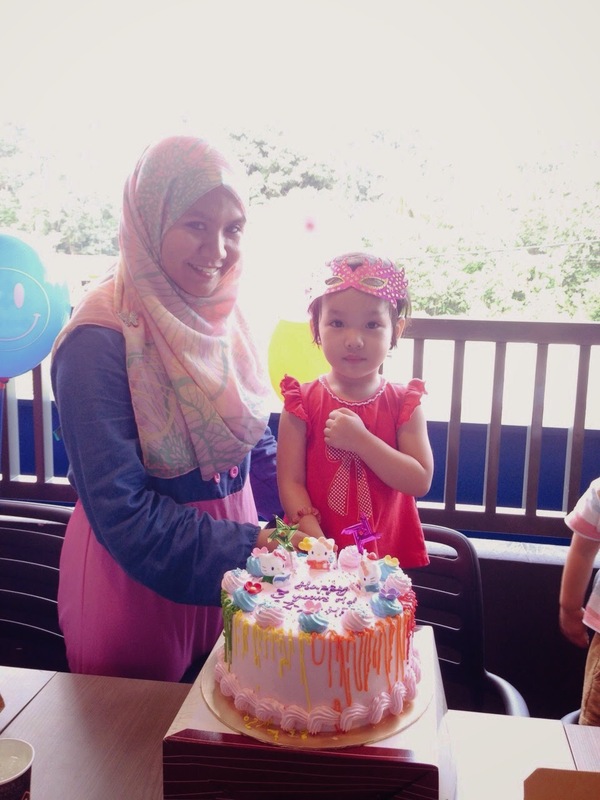 happy birthday zahra! !..i want that large pizza! !nyummmnyumm.